I’ve just received an upgrade copy of Cinema 4D release 14, there are some exciting new features I’ll be delving into over the coming weeks. 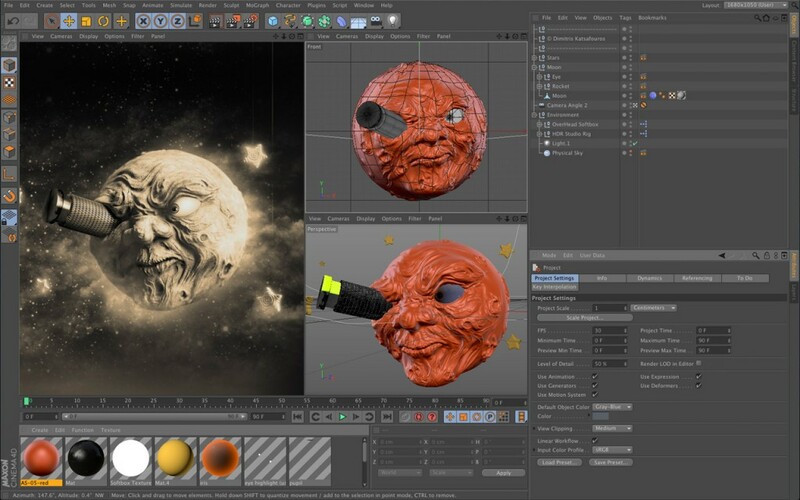 As well as faster and more realistic rendering, there are powerful new motion cameras, an improved modelling toolset, better integration between other applications such as After Effects, but the new feature I’m really excited about is the digital sculpting, allowing artists to model as if using clay, this will make creating more organic highly detailed models far easier to produce! I hope to post some samples of sculpted models when I’ve had a chance to play.